Brianán talks to water business owner Ma’Fulera about center sales in Kalinka. My sophomore year at Boston College I read “Banker to the Poor by Muhammad Yunus,” a book about how Yunus founded Grameen Bank in Bangladesh. A bank that gives loans to poor people, predominantly women, to enable people to be their own change-makers. I read this book and thought this is what I want to do with my life. I want to work in microfinance. About a year later, I went to an information session about the Saha Global Leadership Program. I was enthralled. The Saha model was similar to microfinance in that the micro-capital for a business is donated to women. But the Saha model seemed to go beyond just the money. 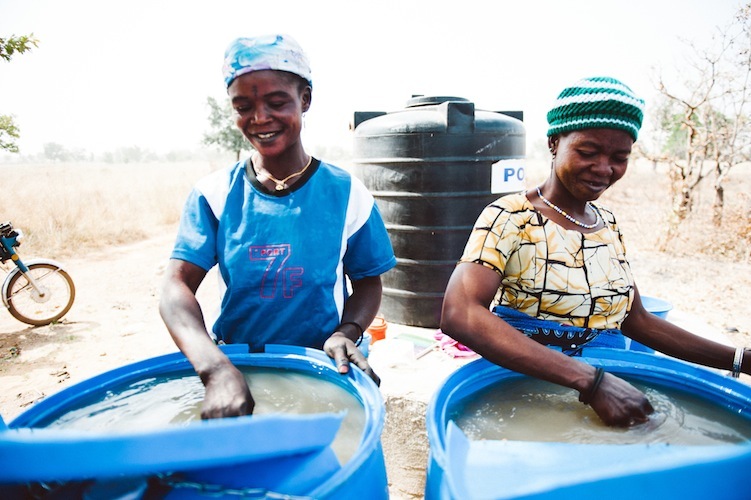 Setting up a water business would bring a village clean water. I knew I had to be apart of this! That winter 2011-2012, I traveled to Tamale, Ghana and implemented a water business in Kpachiyili. I was most impacted by working with Mariama and Azara, the two women who were elected to run the business. They live hard lives but are still resilient. My biggest take-away from the program was not to underestimate people. People can be their own change-makers. 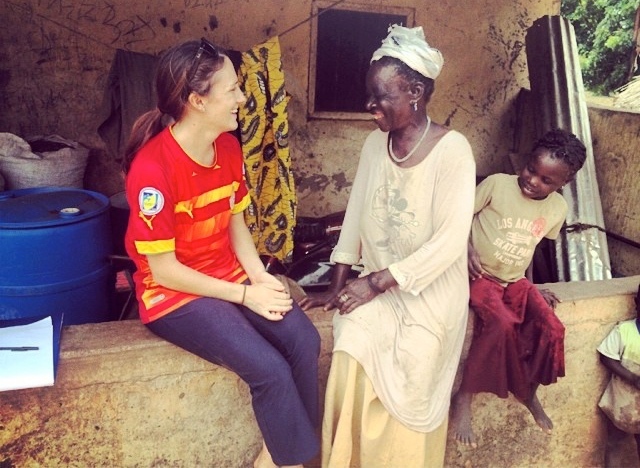 In June 2012, I moved to Tamale, Ghana to work as the Ghana Country Director with Saha Global. I lived and worked in Ghana with Saha Global until August 2014. My most memorable day in Ghana was my third day on the job. I was out on the “motos” with Wahab monitoring the Tolon district Saha communities. We were caught in this massive, end of the world rainstorm. The streets of Tamale were flooded. We had to take shelter from the rain for several hours. We were so cold! Hot tea never tasted so sweet. I will never forget that day. After living in Ghana and spending time with the Saha women business owners, I knew that I wanted to continue to work with women. I wanted to learn more about public health in low and middle-income countries. Time and time again the Saha staff and I witnessed and experienced health challenges such as lack of transport, high costs, lack of training, accessibility, lack of human resources, lack of supplies. The list goes on. I wanted to learn more about what is being done and what can be done to strengthen health systems in low and middle-income countries. I am currently living in Dublin, Ireland where I am getting my Masters in Global Health at the Center for Global Health at Trinity College. Upon graduation, I hope to continue my career in project management within the global health sector. Want to learn more about Brianan’s experience or have any specific questions? Feel free to email her at brianankiernan@gmail.com Also take a look at what she’s up to now!